Astute, passionate and perceptive, Eika, believes in deriving faith from the ‘power of within’. Along with talking about women’s issues and diversity, she brings her unique perspective on Indian history, mythology and yoga to a corporate environment. Her sessions teach that one only needs to turn inwards in any context for the right answers – be it individual, organisational, national or global. A Chevening Gurukul Fellow for Leadership and Excellence from the University of Oxford, Eika transfers her global exposure and learnings most effectively to all her leadership and business coaching interventions. 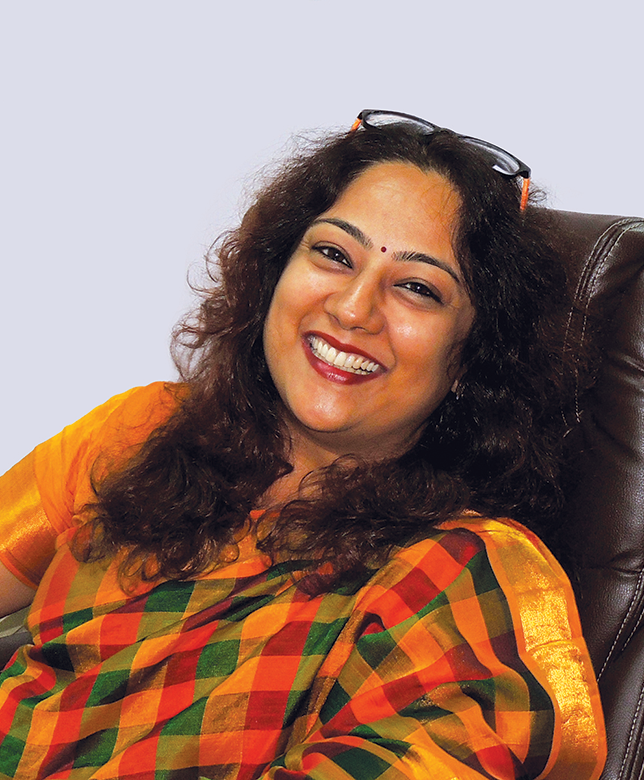 She is currently the CEO of Future Learning, heading three verticals - Corporate Capability, Skilling, Employability & Livelihoods, and Education. Eika is also the creator of Future Learning’s line of signature programs, including “Bodhi - The Awakening” which aims to explore and revisit ancient wisdom, making it relevant and applicable in the modern-day context. She also runs “Goddess In the Boardroom” – a series of bespoke Leadership Development retreats for mid and senior level corporate women. Eika works closely with the state and central governments on various skill development Initiatives. Her vigour and vision have secured a position for Future Learning as one of India’s leading corporate skilling companies. Her mission for the Education vertical is to redefine learning, be synonymous with quality education and bridge the industry- academic gap. Previously, Eika founded FinSutra, a boutique Leadership Development firm involved in talent development and executive coaching interventions based on ancient wisdom, history, mythology and literature. She has nearly two decades of core operating experience in various leadership roles and key positions at Standard Chartered Bank, ABM Amro, Citi & Kotak, both in India and Singapore. She is also the founder-curator of Aakhyaan, India’s first annual mythology festival, a knowledge platform that she has conceptualised with the Department of Sanskrit, University of Mumbai, to integrate the corporate world, academia and popular culture.